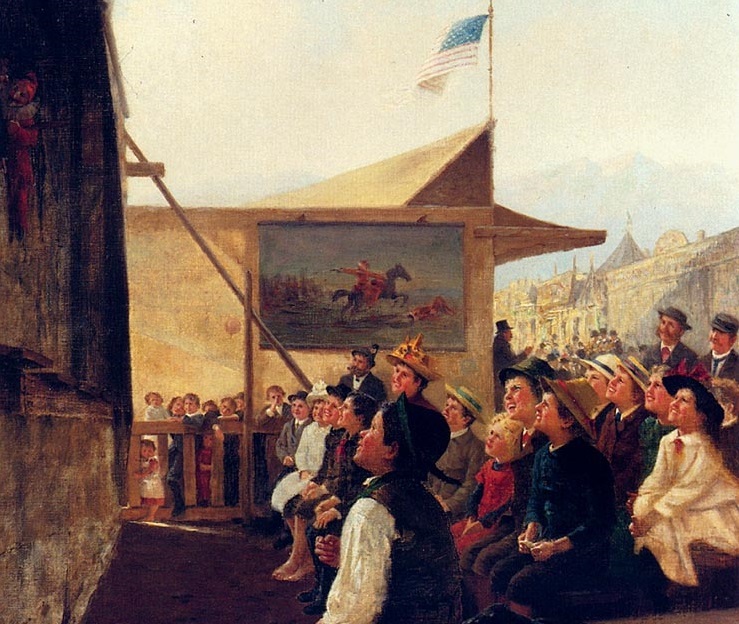 Detail from The Puppet Show, undated oil painting by Theodore Kleehaas (1854–1929). Image courtesy of The Athenaeum. And so she began work on another story. Complicating her routine that summer of 1945 was the presence of her six-year-old son Reuel. As she explained to Baumgarten, “We are living next door to [short story writer] Phyllis Duganne, and it is a question every morning which mother’s work is going be demolished for the day by the children. So far I have gotten the best of it, and today their interest was deflected from us: they discovered the pleasure of flitting Phyllis’s mother with the flit gun.” In spite of the lurking threat of being sprayed, McCarthy found time to finish the story, “The Unspoiled Reaction.” Her agent had better luck with this one, and it appeared the following spring in the Atlantic Monthly. As biographer Francis Kiernan notes, this latest story is nothing like the acerbic portraits of New York’s pre-war social scene in The Company She Keeps. 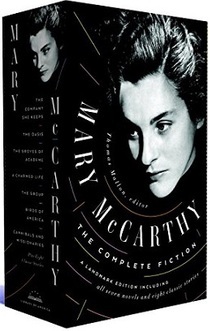 Instead, “The Unspoiled Reaction” is “a pared-down, almost allegorical account of a children’s puppet show that goes wildly out of control.” McCarthy never included this selection in one of her books but it has now been restored to print, along with several other uncollected stories, in the recently published Library of America edition of Mary McCarthy’s complete fiction. In the theater lobby everyone at first mistook her for another patron (a grandmother, perhaps), though the fact that she wore an unstylish close-fitting hat, antique earrings, and no coat and had a generally anxious, false, and flustered air should have announced her status. . . . If you don't see the full selection below, click here (PDF) or click here (Google Docs) to read it—free!